The adsorption priniple used in this design is simple, robust and flexible. Continuous drying is accomplished by the operation of 2 desiccant towers. Compressed air is dried through one tower while the other desiccant tower is being regenerated. The regeneration heating cycle of the desiccant is accomplished using a dry air purge flow heated by an external electric heater. The regeneration cooling cycle is performed using the same flow of dry compressed air taken from the Dryer outlet to ensure accurate dew point performance. By using proven engineering technology and components, this equipment is extremely reliable. 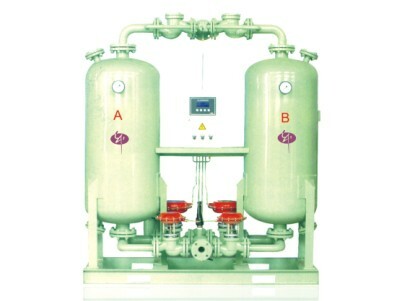 Looking for ideal SBW Type Heatless Regenerative Air Dryer Manufacturer & supplier ? We have a wide selection at great prices to help you get creative. All the Heatless Regenerative Air Dryer are quality guaranteed. We are China Origin Factory of Heatless Regenerative Dryer for Nitrogen Generators. If you have any question, please feel free to contact us.